Today is the first official day of fall – or autumn if you are kicking it calendar old school. Which means summer is over. As most of you know, I love summer. It’s my favorite season of the year. Sometimes it can get really hot, but this year, the temps never really hit the triple digits like they usually do. Mostly 90’s for the last bit of July and most of August. So far, most of September has been cold in the mornings but in the low 80’s during the day. I could thrive very well if it stayed like this all year. But alas, it doesn’t. And before you know it, the snow, ice and cold is here. Which means my scooter riding days will come to a close in just a few weeks. Even if it gets chilly, as long as there are no snow storms and icy roads, I will keep riding. Besides, I still have a few Scooter Sunday episodes to film and put together. So thank you summer, for all of the warmth, travel, splotchy burn that turned to tan, drinks, parties, BBQs and many other joys I experienced. I am hoping for nice warm temps for fall before I start bitching about the cold. I love summer, but I LOVE fall. Actually, I just like the changing seasons. I could never live somewhere without seasons! Today, we went out and bought some pumpkins and gourds and tomorrow I get my potted mums – totally into the season, here! Now, uh – where’s the new Scooter Sunday?! I’ve grown to appreciate fall more, but summer will always be my first season love. 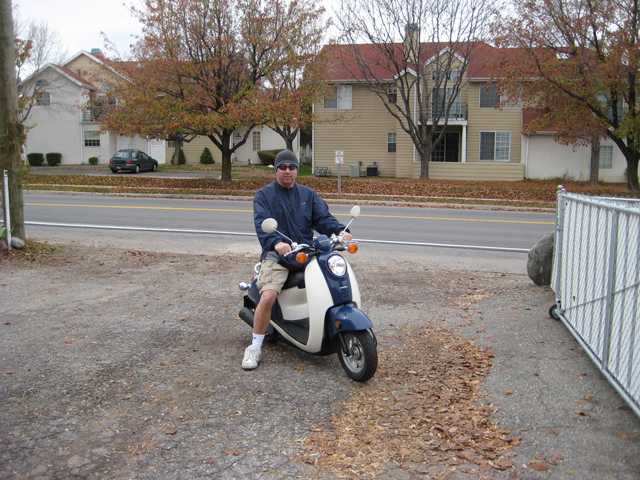 Scooter Sunday… I promise soon.. very soon. Ditto Sybil’s comment! Although I am really hoping for cool temps the next few weeks – I am running a marathon on 10/2 and don’t want a repeat of my 85+ degree October marathon last year. I haven’t seen any Scooter Sunday vids all summer. Am I overlooking them? 85 degrees and a marathon don’t mix too well. Fall temps are more bearable. I will send a separate email, but Scooter Sunday episodes are all over on scootersunday.com now. If I lived in 108, I would want fall, too. Can’t wait for autumn to arrive. Here in Florida, that’s usually November. I’m not ready! I’m such a summer person. Winter is definitely not my thing! I do love the cooler fall days, and the blanket-worthy nights, but the thought of winter coming soon depresses me so it’s hard to enjoy it. I’m hoping winter remembers how long it hung around last year (snow in June!!) and decides it can afford to be late coming this year. Yay! A summer person. I’m not ready either. As of the snow that’s come too quick this year has made me wish I lived in a more summer climate. I am a total fall person. I love the light this time of year and the cooler (but not cold) temperatures. Of course we really don’t have fall here. At least not until January. I see in that picture that you are wearing shorts. In November. In Utah. Brrrr. 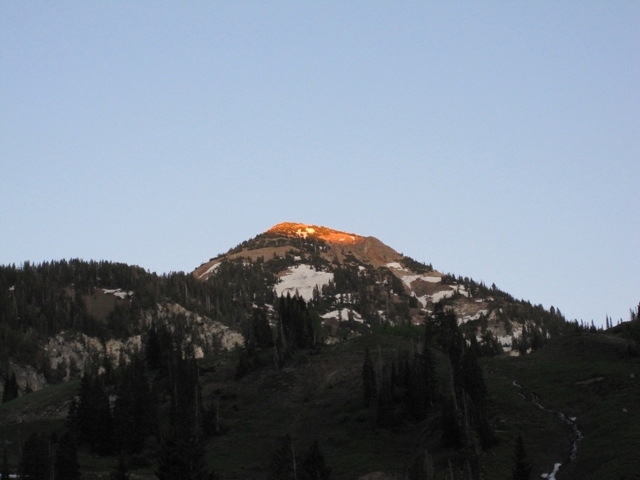 I like some parts of fall where it does cool off, but here in Utah, it cools off too much… like 30-40 temp differences between daytime and night time. A bit drastic for me. Yes, shorts in November is possible on days where it’s in the high 40’s. But not too long of a ride.